A few fun announcements! 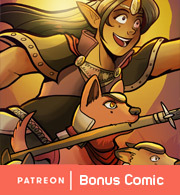 This week's vote incentive on TWC is a Q&A comic rerun by reader request! How did Astyr lose his wing? 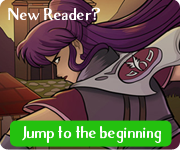 Also, the SpiderForest webcomic collective recently accepted quite a few awesome comics! We're featuring a few of them in the coming weeks! Xylobone Tomes - The creepy-cute story of a skeleton necromancer and his tiny mandragora minion. Witchery Etc. - A young witch named Hazel and a headless man named Jack become friends and try to find him a head. This one's a lot of fun, too!